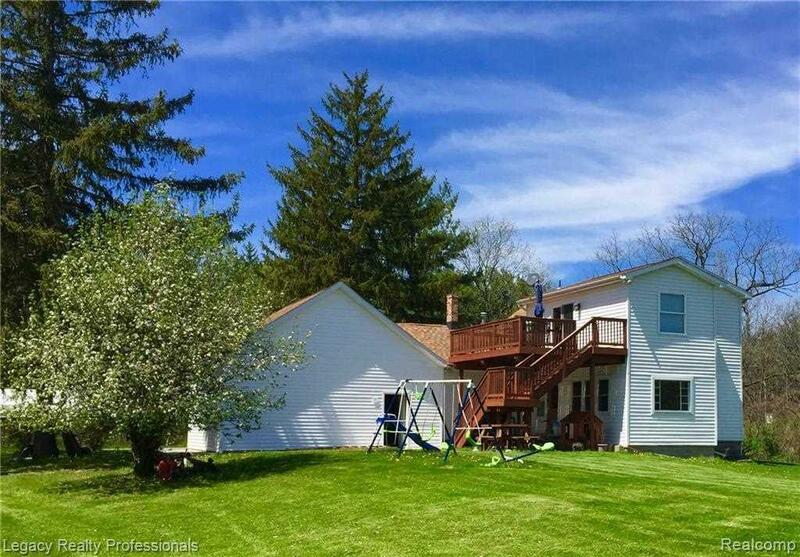 Large unique farmhouse with many updates on approximately 2 acres of beautuful rolling land that is 100 percent private! Great location near Lake Nepessing, just a quick drive to Lapeer and walking distance from The Lake Inn. Original home is built in the late 1800s with additions including an enormous master suite with large balcony added around 2014! Balcony has stunning views of the back of the property with abundant wildlife and numerous fruit trees (apple, cherry and pear) as well as gorgous lilacs that bloom in spring. Large windows enhance the same view throughout the house including in the newly updated large kitchen and dining area, with knotty cedar adding character and newer stainless steel appliances that are included. Features an oversize garage great for storage, a car port, and pole barn. Home has 2 central air units and two furnaces for extra efficiency and a brand new state of the art well and septic system. Smart sump and doorbell camera included. View today!